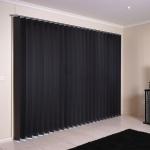 The sleek design of vertical blinds not only makes a fabulous fashion statement but also has built-in practicality that makes them one of the most adaptable window treatments around.Campbell & Heeps Vertical Blinds (Also Known as Vertical drapes) are stylistic and will enhance the view from every room in the house with a modern colour selection. 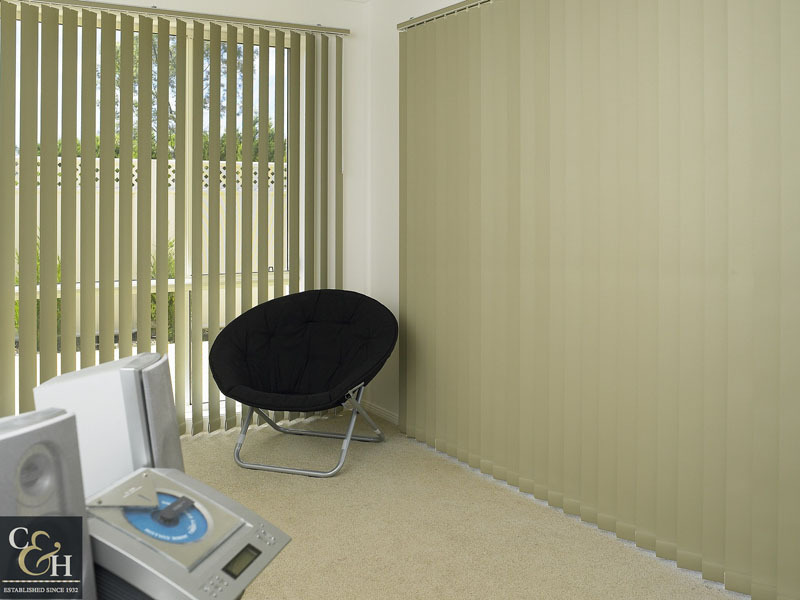 The blinds can be fitted to open from the left, the right, and the centre. Concealed on the top track is the vital componentry needed to smoothly and quietly operate your vertical blind. 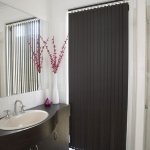 From the outside, you can see a modern finish in one of our fashionable colours that compliment the fabric of the blind. 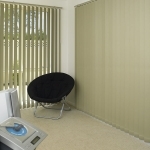 Vertical blinds can come with chain weights, or free hanging sewn in weights. The chain helps to settle the blades into place more quickly than those without chains. For those who do not like the look of the chain along the bottom of each blade or have pets and children, the Chainless weight option may make more sense. 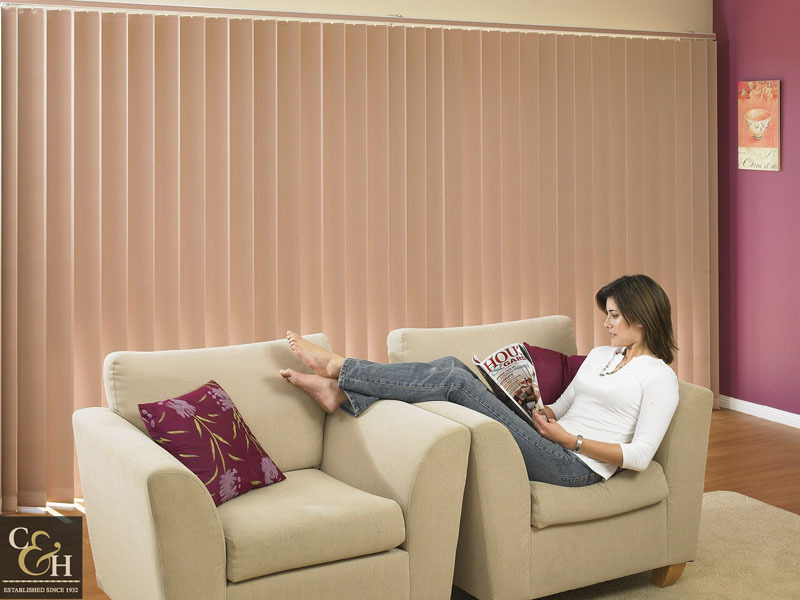 Vertical Blinds have a vast range of fabric options.Choose from our range of translucent fabrics when heat protection and privacy is your priority but darkening the room is not. 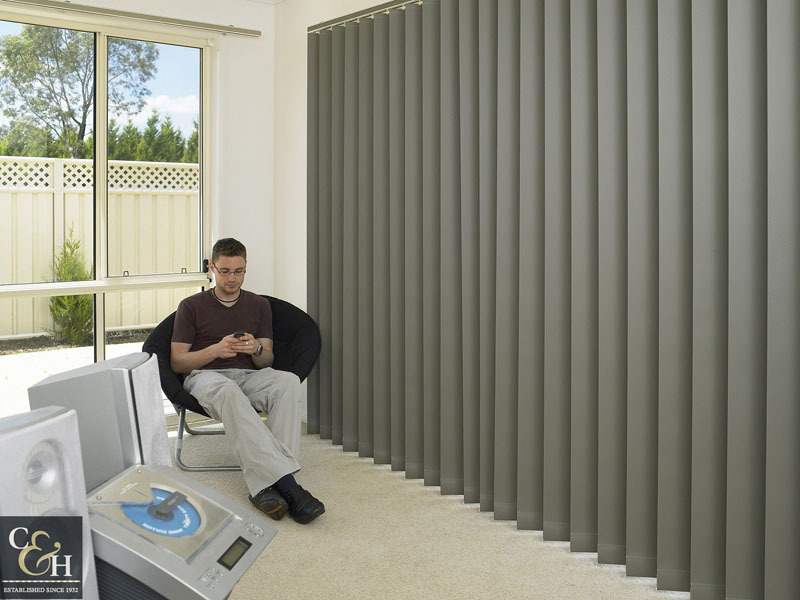 Why Are Vertical Blinds So Popular? 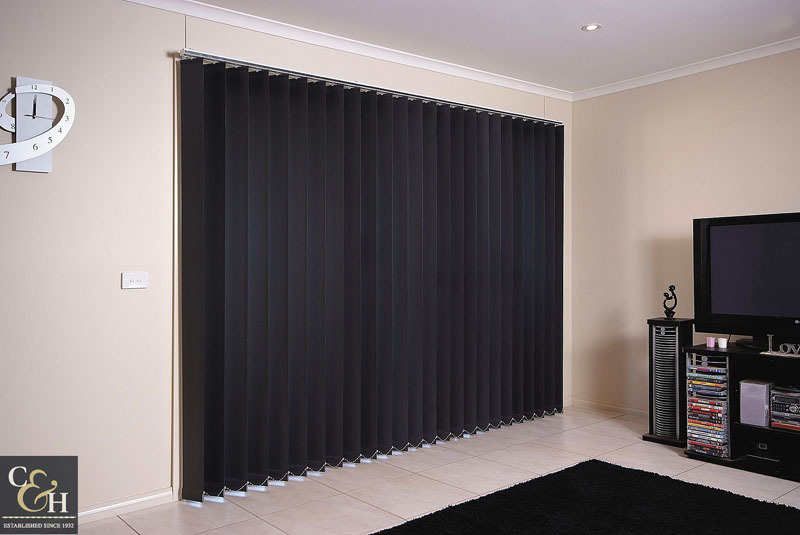 Block-out fabrics are very popular and most commonly used in vertical blinds as they can give privacy, light control and a very attractive and some insulation. The collections of colours range greatly to match any home décor. 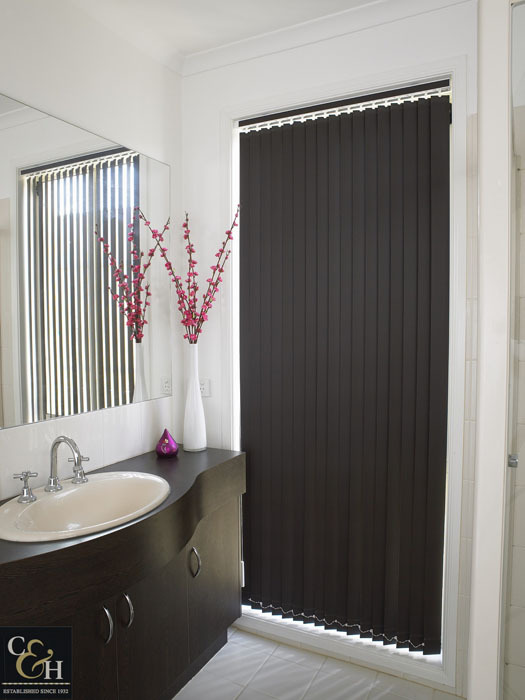 There are two options for controlling the blades in your vertical blind. The cord control features a chain that you use to alter the openness of the blades up to 180 degrees. Alongside the chain is a cord operation that when pulled will seamlessly drag the blades until they are neatly stacked to the side or centre. The second control choice is the wand control. Simply twist or pull the wand to open and close the blades and then drag the wand to shift the blades along the track to open fully.